If you PLC is faulted, how can you rectify it. Click on the pull-down menu. 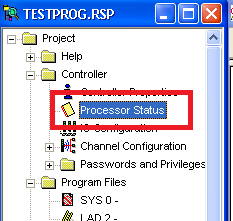 Alternatively, you can double click on the Processor Status. Then click on the “Errors” tab. Either way it should popup, the window shown below. This error is point to my PID which is having issue. That is where I will start my debugging. 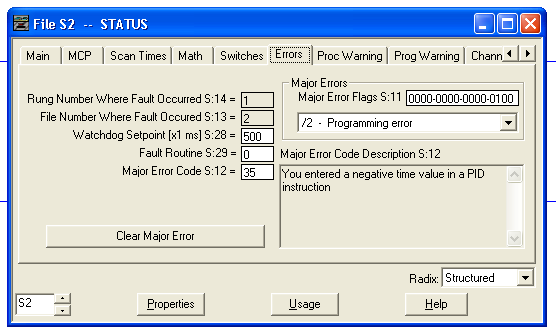 Once you are done debugging your error, click on the “Clear Major Error” button (on the same popup window). If the error does not clear, the error still persist on your logic. you will also notice that the PLC status will be cyan (as shown below). 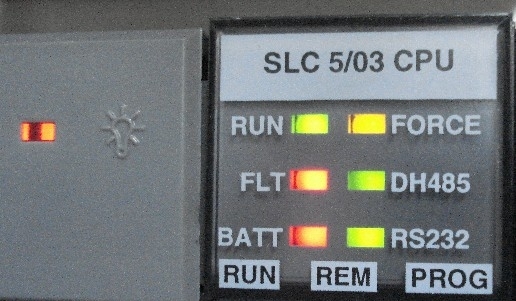 Which denotes that the PLC logic is not running. 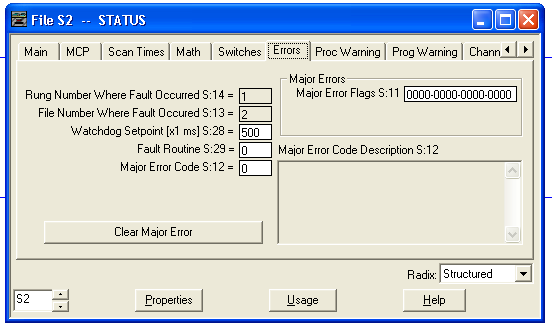 Once you managed to clear the error (logic debugged and click the “Clear Major Error”), you can start running the PLC logic as shown below. Note that you cannot change the mode to run until the debug is fixed… no short cuts. Once I fixed my PID error, when I open the Process Status window (Error tab), this is what I get. There is no more errors now. You can click the “Clear Major Error” button if you like to ensure that all the errors care cleared. Try running the PLC logic again. See screenshot below. And if all the errors are truly cleared, you should get your PLC online again. A lot of thing can cause the PLC to fault. Inspecting each of the fault is not part of this article. I hope this will give you starting point on debugging your faulted PLC.